Do you fancy jumping in your car and driving past the world’s most famous landmarks? Well, check out these fabulous routes and discover some of the coolest sights around! 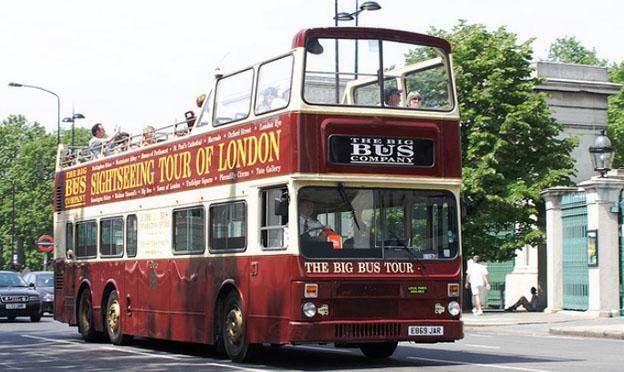 One of the best ways to see London, is to follow the route of the open-topped Big Bus Tours that head off round the city. Start off at Green Park and drive down towards Bucking Palace Gardens where you will see Buckingham Palace itself. Continue round Hyde Park Corner down the infamous Park Lane before spotting Marble Arch. Turn right past the Arch before turning left onto Gloucester Place and right again onto Marylebone Road home to Madame Tussauds. Turn right past Regent’s Park and keep going until you come to Piccadilly Circus, one of the busiest areas in London. Keep left of St James’ Park and look out for The Houses of Parliament and Westminster Abbey. Turn left over Westminster Bridge and left again where you will see the London Eye. Turn left over Waterloo Bridge and turn right to follow the Embankment before making your way along Fleet Street past St Paul’s Cathedral. 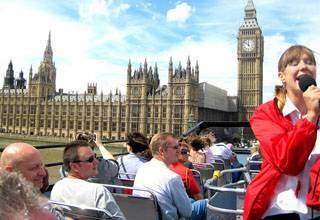 Continue along Canon Street and cross the famous London Bridge to your right taking a left past the London Dungeon. Finally, turn left over Tower Bridge towards Tower Hill and then take a left past the Tower of London, before continuing along the Thames and enjoying the drive at your leisure. The route is approximately 8 miles and could cost around £4 in fuel. Make sure you double check where you are going before you leave and work out prices of fuel on that day. Start off at the Syntagma Square, the most famous shopping square of Athens and make your way towards the Melina Mercouri, the start of the pedestrian way called Dionysiou Areopagitou. Check out the Olympieion, Temple of Zeus on your left before turning right towards the New Acropolis Museum. 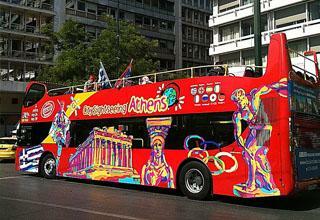 Go all the way round the roundabout where you will see the Acropolis and the 2500-year-old Pantheon. Come back on yourself toward the Temple of Zeus where you can now enjoy a better look of this fantastic landmark. Turn left down the edge of the National Gardens and look out for the Benaki Museum on Vassilis Sofias Avenue near The Houses of Parliament. Turn right around the gardens and continue until you reach the Panathenaic Stadium. Go all the way back around the gardens but this time continue past Vassilis Sofias Avenue. Carry on until you reach the National Library before turning right down 3rd Semptemvriou Street towards the Archaeological Museum. Come back on yourself down 28th Octovriou Street before turning right and passing Omonia Square. Carry on until you see the Karaiskaki Square next to the Metro Station before making your way along Achilleos Street and turning left onto Thermopylon Street and left again onto Ermoy Street where you will see Thession Station on the corner. Turn left and keep going until you see Kotzia Square before taking a sharp right and heading back down to wear you started past the National Museum of History. This route will take about 90 minutes and costs around £4 in fuel. Why not enjoy a trip of a lifetime and head off to experience the sights and sounds of Las Vegas? However you want to explore is up to you, but whatever you do make sure you cruise along slowly and take everything in along the way. If you want to throw yourselves in to the heart of the action, it would be a good idea to head toward The Strip where you can start your vacation in style. Drive slowly (perhaps with the top down if you have a convertible) and look out for MGM Grand and Planet Hollywood on your right. 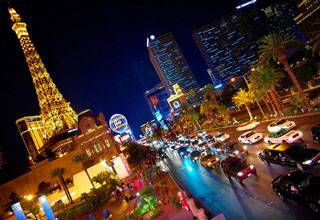 Continue down this world-famous road and keep your eyes peeled for the mini Eiffel Tower in Paris and spot the notorious Flamingo Las Vegas hotel. Continue past the stunning Imperial Palace and perhaps check out the Venetian Hotel which even has its own gondolas and everything. See the bright lights of the Riviera at night and look out for the impressive Stratosphere in the distance, a tower, hotel and casino recognised for its grandeur across the world. Driving The Strip won’t take you long or cost you much in fuel if you don’t want it to, but it is worth taking your time and exploring this exciting part of the world from top to bottom. Experience places like never before in the car and make sure you pull over and explore all the best landmarks if you have the time.